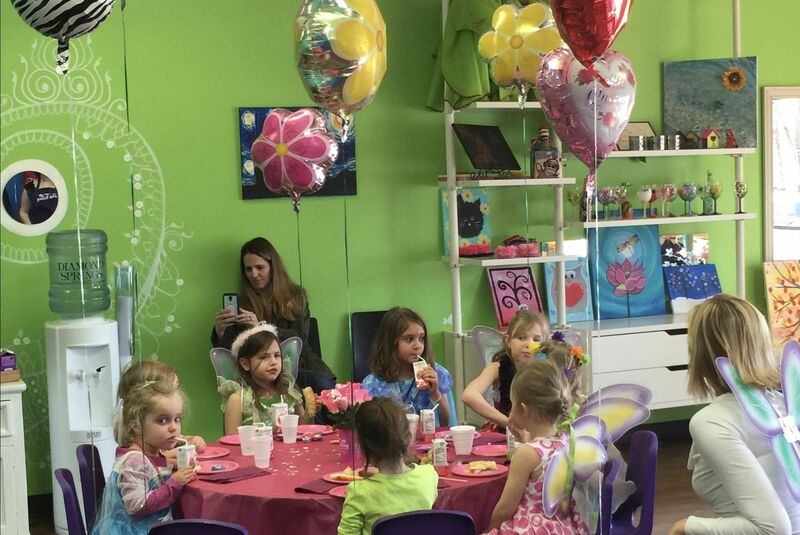 Let us create the most memorable birthday party for your child. Choose from one of our party packages & leave the planning to us. 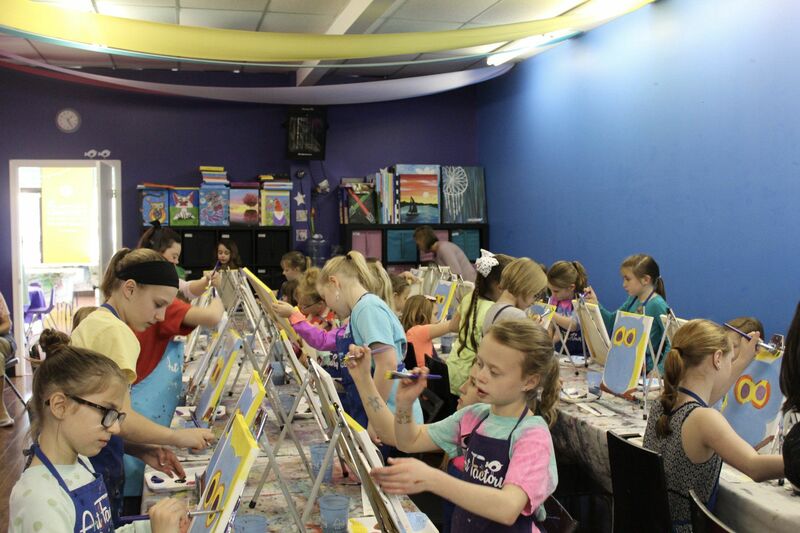 Our 90 minute parties include 8 guests, plus the birthday child ($20 per additional child). We supply the fun, crafts and activities, table settings, invitations and an Art Factory gift for the birthday child. Our goal is to make sure each event is unique and tailored to fit your child’s special day. Have an idea for a party not listed on our website? Let us know, we’d be happy to make it happen! Listed below are our party options. Please remember that we are willing to customize any event to suit your party needs. There may be a small price change for substitutions and add-ons. Please give us a call for pricing, details and booking. 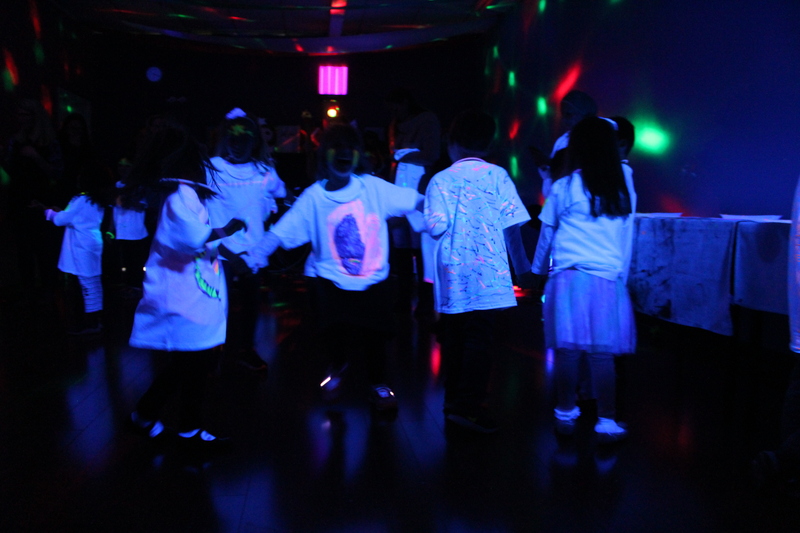 Design t-shirts to glow in the dark, glow sticks / bracelets, UV glitter tattoos and face paint, limbo and other dance games. Each guest takes home: a decorated t-shirt, glow bracelets, face paint & glitter tattoo. Choose a painting from our online gallery. Step-by-step instructions to create your own masterpiece. Each guest will wear an Art Factory apron, however please dress for mess. 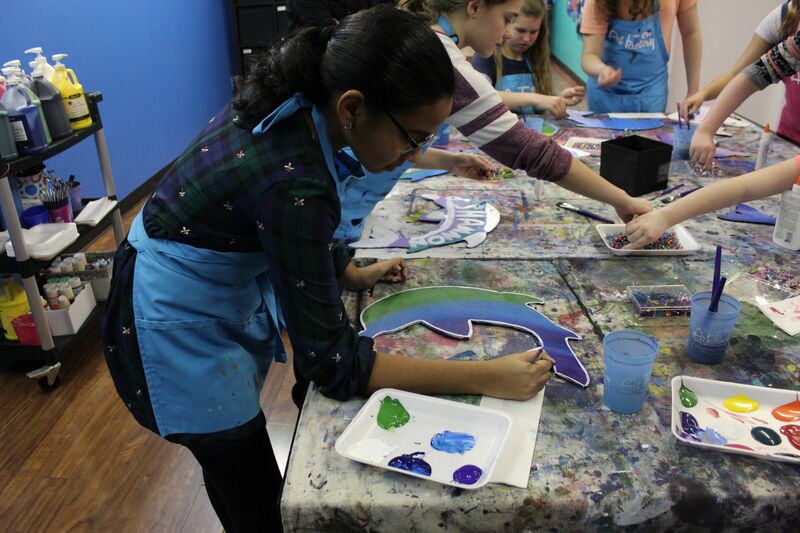 Guest will use acrylic paints on stretched canvas. Each guest takes home: an 11x14" painted canvas. Create your own one of a kind piece of art! Choose from one of our many wood sign projects - cut out shapes, initials, quotes. Step-by-step instruction on how to paint your wood sign. Each guest will wear an Art Factory apron, however please dress for mess. Each guest takes home: a hand painted wood sign. 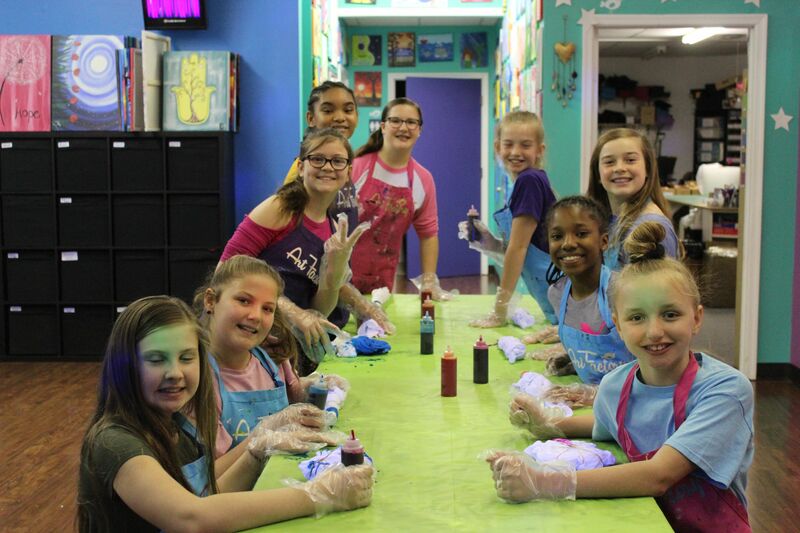 We'll show your how to make totally awesome tie-dye and slime! Create your own tie-dye t-shirts. Step-by-step instructions on how to create different designs. Make a jar of colorful slime. and a jar of slime. Relax in a fluffy pink robe and let us pamper you. 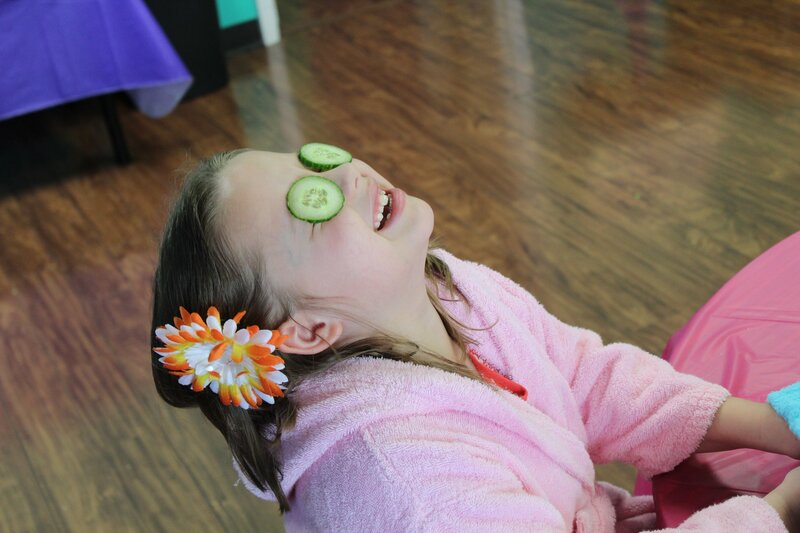 Relaxing hand massage, cucumber eye treatment, warm towel hand wrap, finger nail polish application, glamour makeup, make your own sparkly lip-gloss, glitter tattoos. Each guest takes home: painted nails, glamour make-up, glitter tattoo and custom lip gloss. Magical party full of fairies, pirates and make believe. Fairy makeup, wands/swords, fairy house/treasure chest decorating craft, glitter tattoos, fairy/pirate name selection, "winging" / eye patch ceremony, fairy/pirate certificate. as well as a certificate and glitter tattoo. Please remember that we are willing to customize any event to suit your party needs. Can I bring in food? Yes! You are welcome to bring in cake, snacks and drinks (preferably in a juice box, pouch or water bottle). We are happy to arrange catering from Sergios for you as well. Napkins, plates, forks, table cloths and serving utensils are included in each party package.